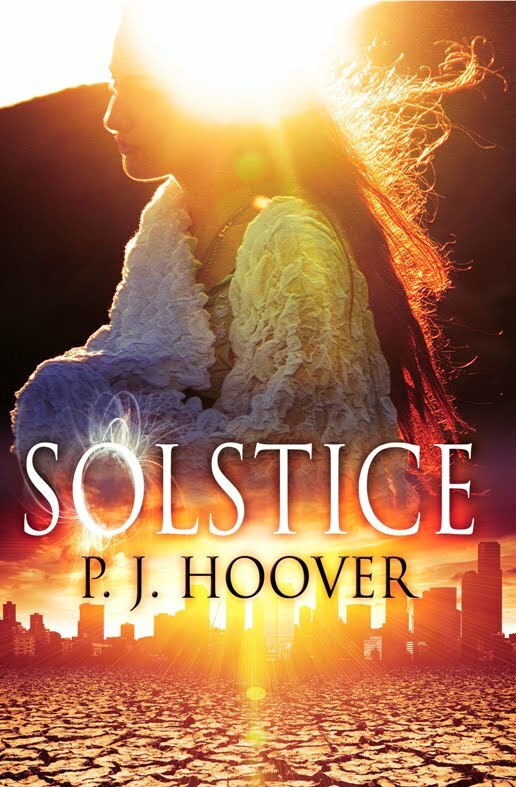 You can go ahead and be jealous of me now--I got a chance to read SOLSTICE as a beta reader, and thus already got to experience the awesome world of Piper and her two hot leading men! But luckily for you, this ebook is going to be available THIS MONTH. That's right--ebook. 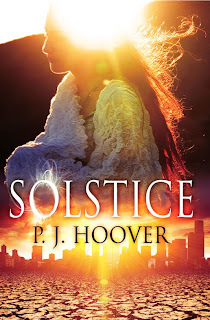 PJ Hoover is represented by the Andrea Brown Literary Agency, and "SOLSTICE is the first front-list novel to be independently published by an Andrea Brown Literary Agency author. SOLSTICE will be available on Amazon, B&N, and Smashwords in May." This is a really neat idea, to release a book independently online. I know I, for one, am going to be keeping a close eye on SOLSTICE's success! My favorite part? I love the tagline: "Where mythology and dystopia meet." That's just brilliant. And also, I wanted to draw your attention to that cover. Isn't it beautiful? I love the decoration on the "O" in SOLSTICE (I'm a sucker for that sort of thing), but the really interesting part to me is the dried, cracked earth on the bottom of the cover. The top part of the cover represents the mythological world; the bottom reminds us of the dystopian world. It all blends nicely with the solar flares in a way that ties the whole cover together, bringing together two seemingly disparate ideas in one unified picture. Very very cool. You can find extras on the novel, including the first five chapters and a very cool card game, by clicking here. A Q&A about SOLSTICE (love the reason the setting is in Austin!) can be found here. Find out what the other Bookanistas are raving about here! Dude! That IS an awesome tag line. And what a beautiful cover! That is gorgeous! And definitely a fab tagline! Oh, yay! Thank you so much for featuring me today!!!! This makes my absolute day :) You're awesome, Beth! I was one of the lucky ones too, and I can say that Solstice is one of the best stories out there. I'm so glad everyone will get a chance to read it now! I love the cover too. And the story sounds awesome. You're lucky Beth that you already got to read it. I like the sound of this! I'll look out for the ebook.